Source: New Congregational Hymn Book (London: The Congregational Union of England and Wales, 1859, 1880), #749, p. 525. The throne of God and of the Lamb shall be in it.—Rev. xxii. 8. 1. Behold! how glorious is yon sky! And win Thy gracious favour? When around Thy throne we gather. Round Thy throne, Almighty Father. Sheet Music from Bristol Tune Book (London: Novello, Ewer and Co., 1863), #224, p. 150. 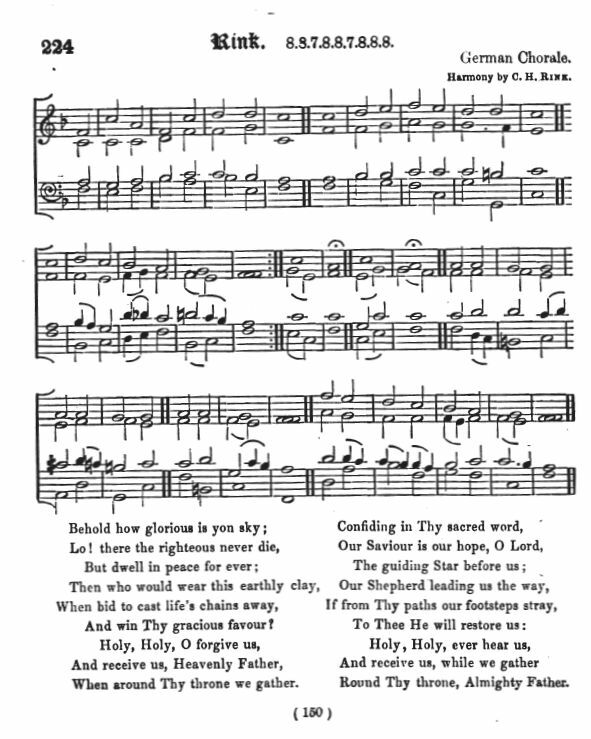 Two verses, plus sheet music (Harmony by C. H. Rink). 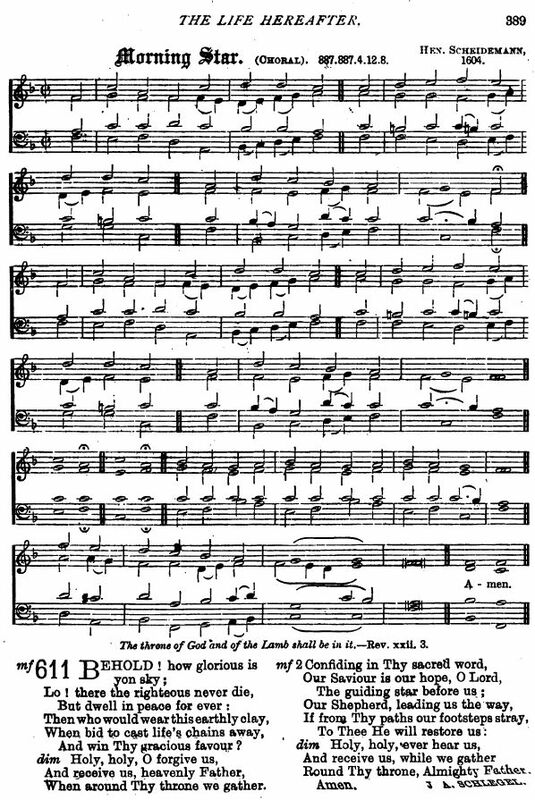 Sheet music from Henry Allon, et al., eds., The Congregational Psalmist Hymnal (London: Hodder and Stoughton, 1886), #611, p. 389.